Home Modelling Library Getting started What Exactly Is Time For Print? What Exactly Is Time For Print? ‘Time for print’ is a phrase you’ll hear often in modelling, especially when you’re first starting out. Before you’ve had the chance to make a name for yourself, you may well be offered time for print work in lieu of actual payment. If you’re still a bit confused, time for print is literally what it says – you’ll give your time, and in return, you’ll get ‘print’ – either exposure, or some shots for your portfolio. You may often hear it referred to as ‘TFP’. Why Do People Offer Time For Print To Models? Time for print work is often on an exchange basis. You’re doing someone a favour, and in return they’re doing the same. For example, a photographer starting out might like to build up their portfolio, so instead of receiving payment from you or a brand, they’ll just relish the opportunity to get some experience. If you’re both starting out your respective careers, there’s no harm in it. Why Should You Accept Time For Print Work? As a new model, time for print shoots can really help you get a bigger range of experience. Whilst UK Models can help you put together a portfolio of your own, these shoots can give you a broader scope of experience with a range of styles of photography and concepts. 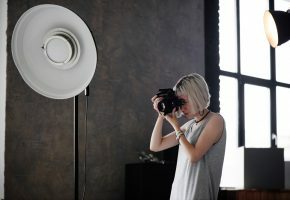 Photographers may also have connections, and may well be able to give you exposure in ways that outweighs a fee. It’s a really great thing to get you started, and may well be better for your future! When Should You Move On From Time For Print? There’s no shame in working for time for print. If you’re not getting any kind of payment for your work as it is, you might as well be getting experience – just like in any other industry. It’s a little like an internship or work experience, too. However, you wouldn’t work for free forever in most types of job, so once you think you’ve gained an array of images from your prior experience that are worthy of paid work, it’s time to get on the hustle. Here’s the hard part – the harsh reality is that a lot of models never get past time for print work. So, to ensure that you’re not going to become one of them, you’ve got to make what you do truly count!